Before and After Ulnarization procedure. 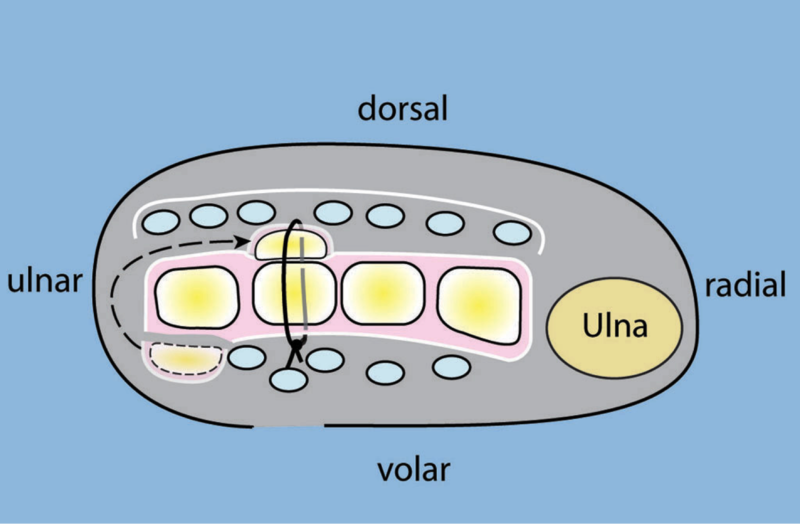 The ulna is transferred to the radial side. 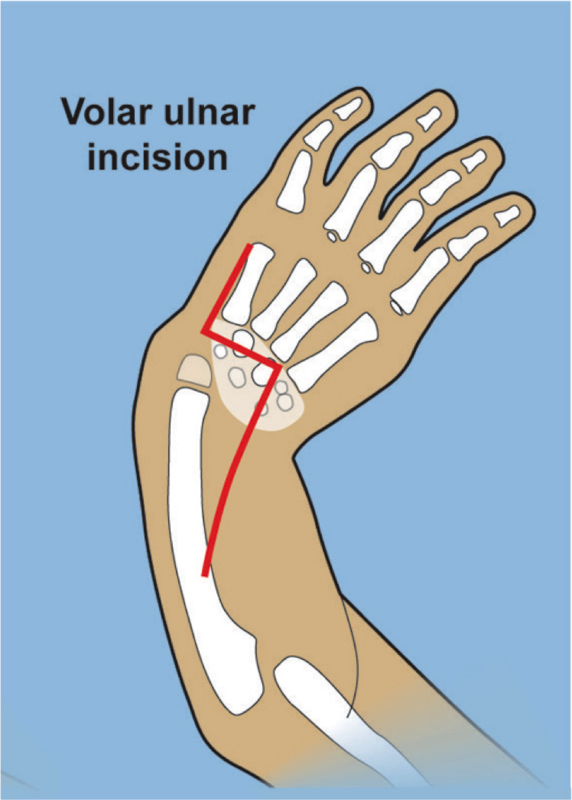 First, Dr. Paley will make the volar incision (palm side) of the wrist in order to minimize soft tissue complications. The wrist is then carefully dissected and the pisiform and FCU released. If there is any radial fibrous anlage present, it is resected at this time. 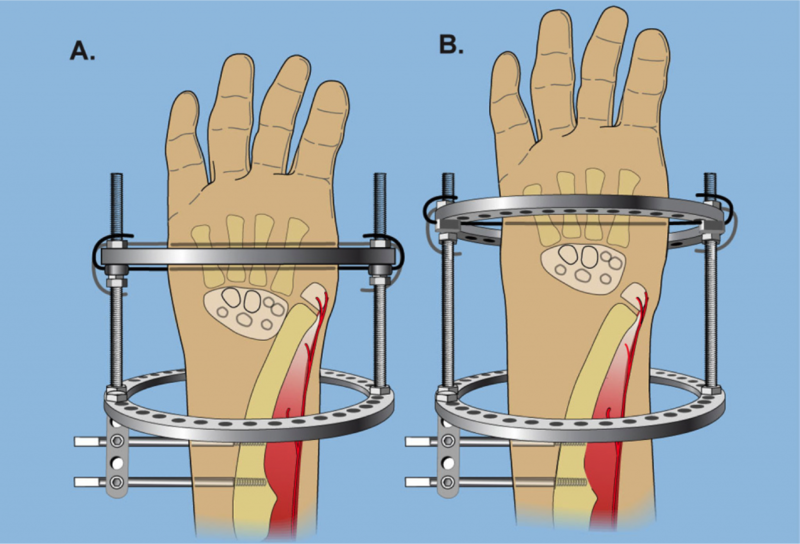 In order to transfer the wrist, it must be disconnected from the ulnar, a process known as a volar capsulotomy. 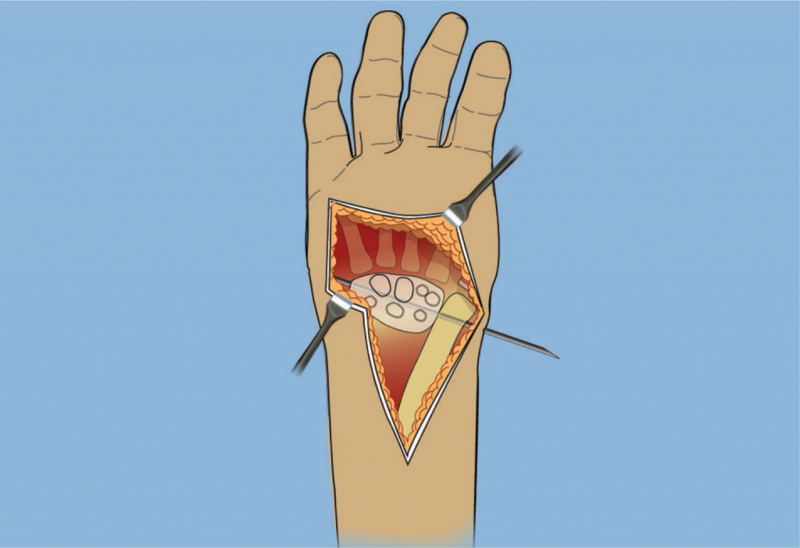 The ulnar head is completely disconnected from the wrist, but the muscles and blood vessels are preserved and protected. 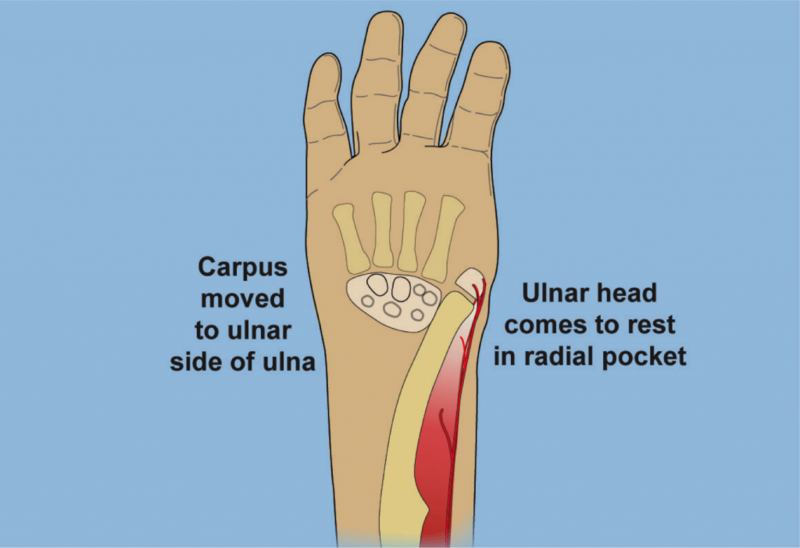 The ulnar head will come to rest in the radial pocket and the wrist is moved to the ulnar side. 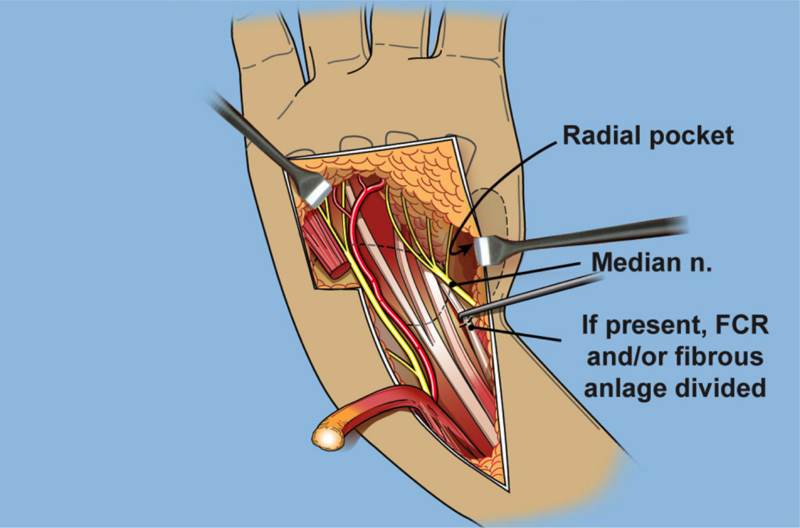 A pin is then inserted through the ulna and the cartilage of the wrist in order to hold everything in the proper alignment. 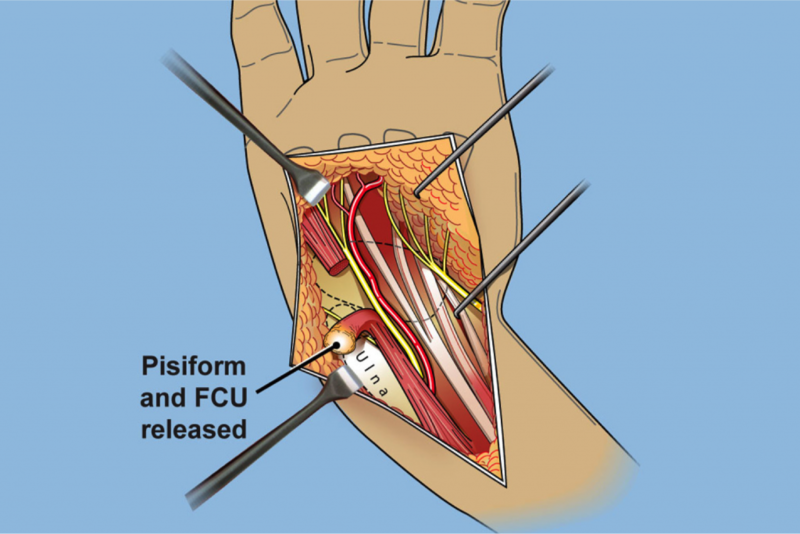 The FCU is then transferred and reattached to the cartilage of the wrist, usually over the fourth metacarpal. Internal K-wires are applied to hold the new alignment in place. The final step is to distract the ulna away from the wrist joint. 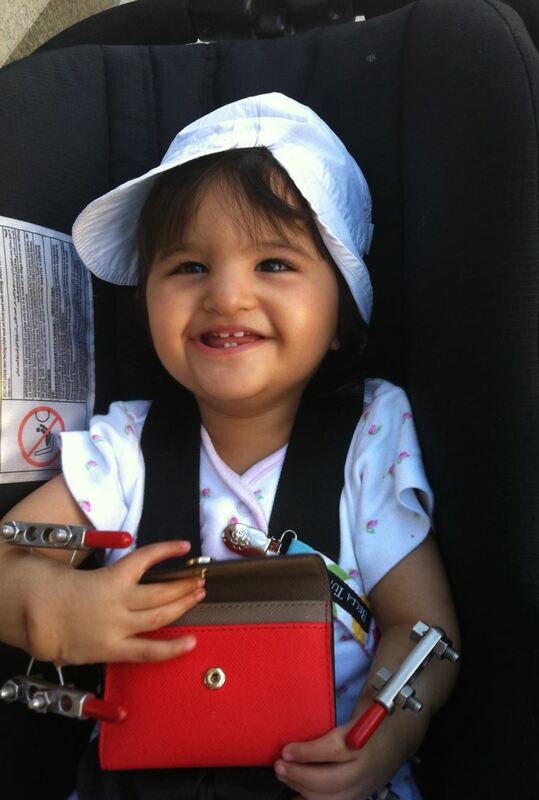 Dr. Paley used to use an external fixator, but he has now developed a new method using internal fixation. The patient is admitted postoperatively with strict elevation of the upper extremity and neurovascular checks performed by the staff every 4 hours. Pain and muscle spasm control are administered. Distraction of the external fixator will begin on postoperative day one, with pin care to be performed immediately after. The distraction is performed with one-third turn 3 times per day for a total of 0.8 mm per day. The distraction continues until the proximal end of the carpus is at the level of the tip of the distal ulnar epiphysis. 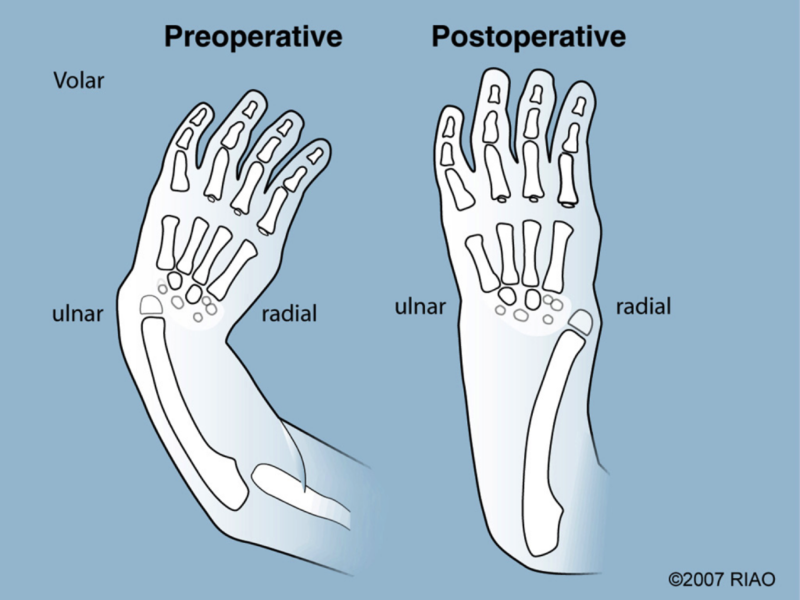 Physical therapy begins on postoperative day one and consists of elbow and finger range of motion exercises. The external fixator is maintained for a total of approximately three months, at which time it is removed in a minor outpatient procedure. 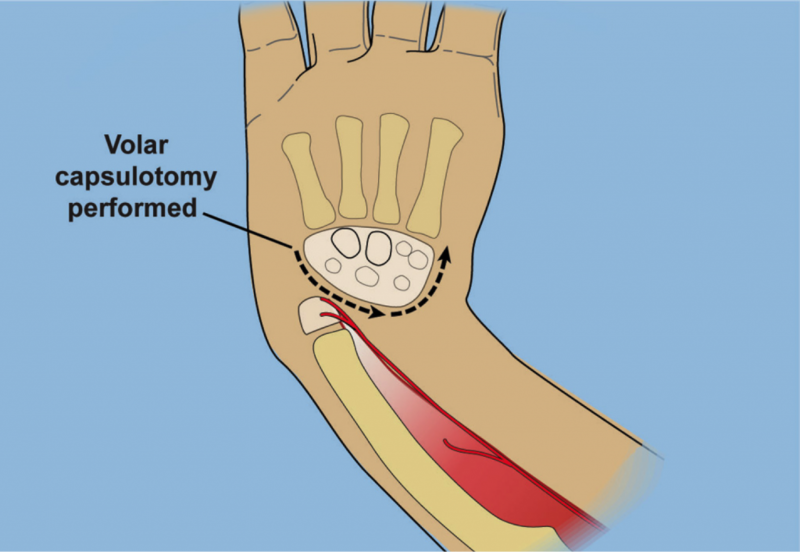 A wrist splint will be constructed and should be worn between therapy sessions full time for two months and then during the night thereafter. Therapy continues after frame removal and should focus on obtaining maximum range of motion of the wrist, elbow, and fingers.